Over the course of this week Egypt has taken several steps towards setting a new path towards an economic recovery and rebuild, after a recent turbulent period of political instability and power shifts. On May 25th Prime Minister of Egypt Essam Sharaf held a nationwide televised address, where he indicated that the government is currently working on several economic and tax policy changes aimed at improving the country’s economic stability and assure future development. The Prime Minister assured taxpayers that throughout any policy changes that are to be carried out in the near future, the government would strive to maintain the majority of its current subsidy programs, especially towards food staples and other everyday necessities. However, he suggested that consideration is being given to lowering some operational subsidies for the petrochemical sector, in order to raise extra funds for the national educational system, public health care, and an extra 70 000 housing units to be built across Egypt. 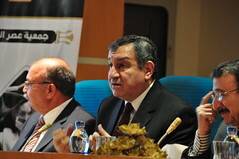 In a Cabinet meeting earlier on the same day the Prime Minister confirmed that the upcoming government budget for the 2011 financial year will be increased by 20 percent due to a substantial influx of international financial aid received by Egypt following recent political and social events. Alongside the series of subsidies, the new funds will be invested in projects aimed to lower national unemployment levels and create new workplaces. It was also revealed that the government intends to freeze the country’s controversial property tax system, which was only instated in January 2010. Originally, the tax called for an EGP 660 annual levy on all properties valued above EGP 1 million, however, the new government now claims that the rate was too high for the country’s turbulent property market.